Air conditioning adds a whole new element to your comfort during those hot summer days. 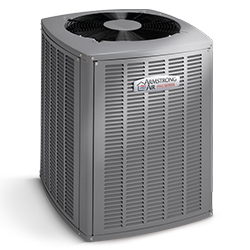 Today’s air conditioners are more comfortable and efficient than ever. Pair this model with a Pro Series™ variable speed furnace and a Comfort Sync thermostat, for optimum performance. With the Pro Series, you’re in control of every aspect of your home’s climate, as well as your energy costs. 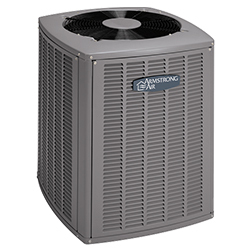 Your Armstrong Air air conditioner’s electronic control system prolongs system life by continuously monitoring internal components for optimum performance and fault prevention. Rather than being “all on” or “all off,” your cooling unit can adjust its cooling output based on conditions inside and outside your home. So you use less energy to maintain comfort.